Fall is here. In my house, that means bacon season has arrived. Every girl needs a good regular offering of bacon throughout these cold months to get her through. The first day of fall is my cue to start gettin' it on. 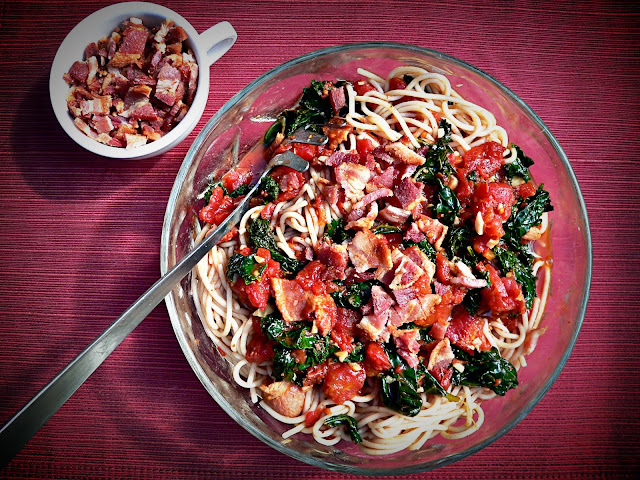 This week I crafted one of my favorite bacon dinners, Bacon Tossed with Spaghetti and Kale. 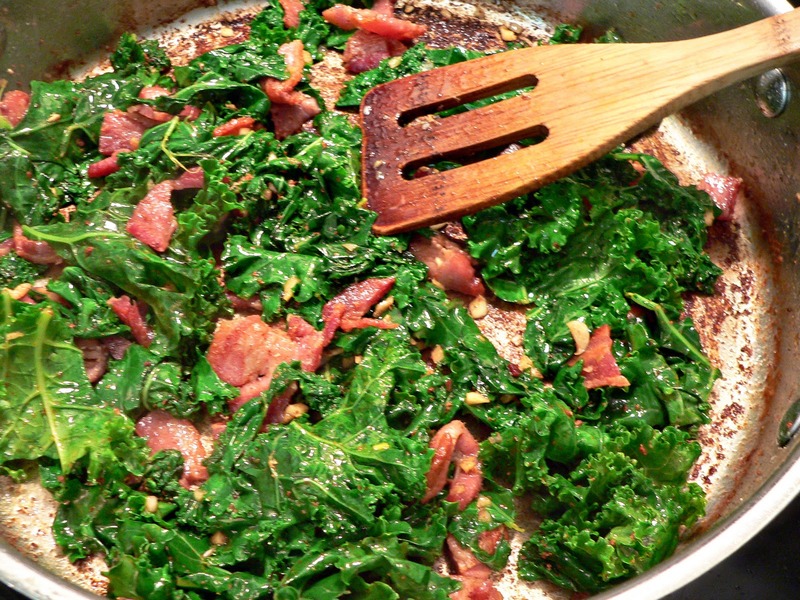 I promised myself and my family that I would start cooking with more dark leafy green vegetables. It's amazing how infrequently we eat dark leafy greens unless I really put the effort forth to get them on the table. Funny how things work. The kale has been looking luscious at the store lately so I though I'd start there. Partially afraid of this remarkable vegetable, I decided to do what I know best to make anything and everything yummy—fry it in bacon grease. In a large frying pan, fry up all of the bacon 'til crispy. 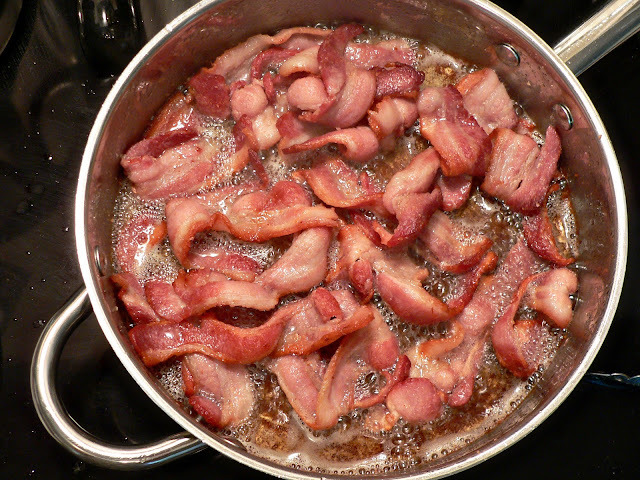 When done, line a plate with a paper towel and set bacon aside to cool. 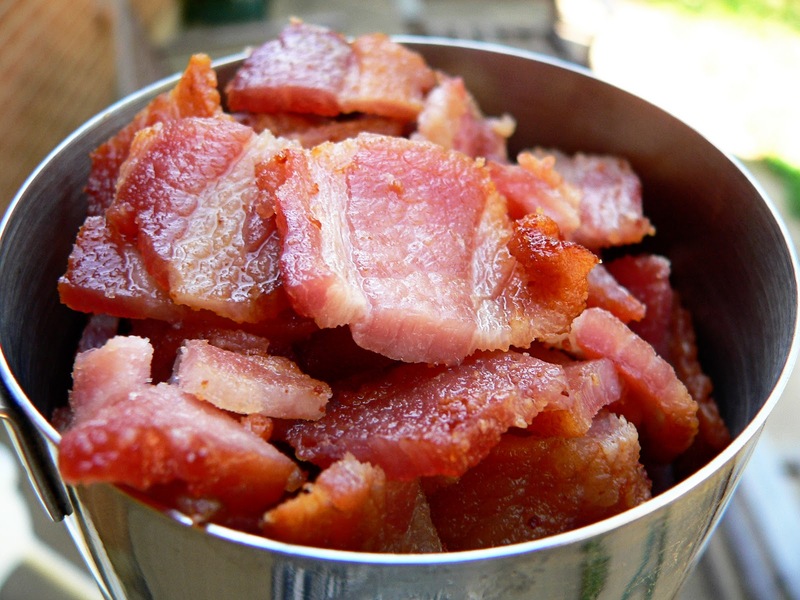 When cool, chop all the bacon into one inch pieces. Set aside. 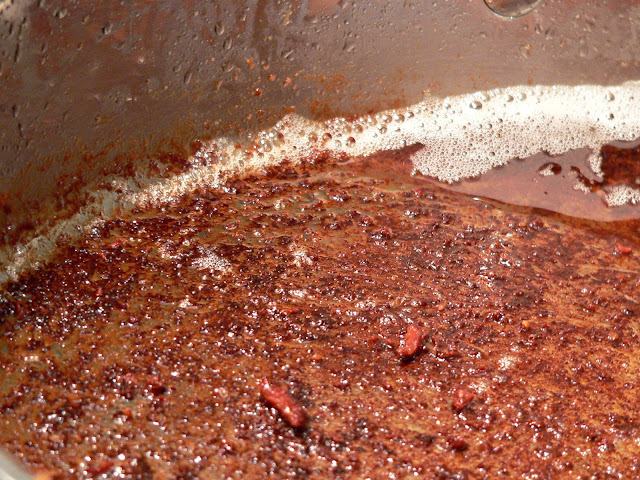 Drain most of the bacon grease from the pan. But be sure to reserve a little bit for the next step. Reserve as much as you'd like. I like to keep at least three tablespoons worth. And don't worry about all that fried on bacony goodness. It comes in handy later for flavor. 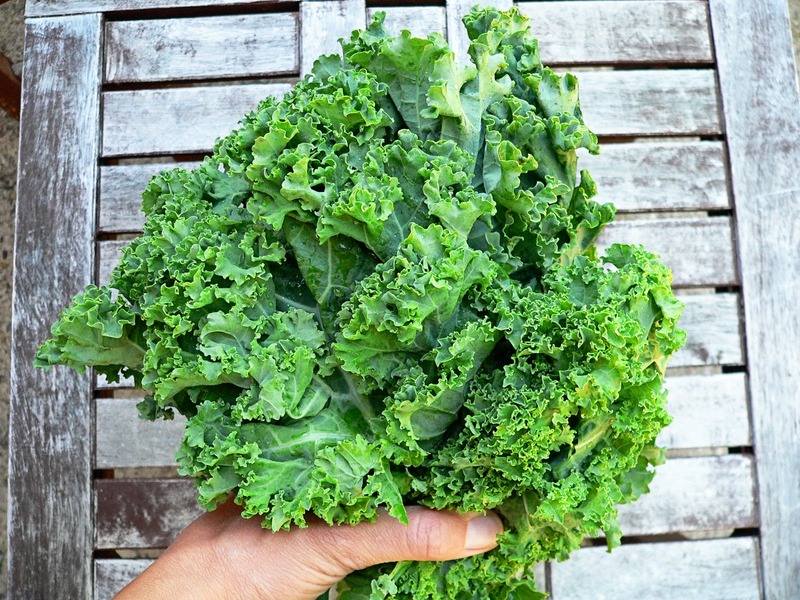 Grab the bunch of kale. Give it a thorough wash and tear it into pieces away from the stem. Prep all of the ingredients and have them ready stove-side. The next few steps happen quickly. Over medium-high heat, add 2 TBS minced garlic and 1 cup of chopped bacon to the reserved bacon grease. Saute 1 minute until garlic is fragrant but not brown. 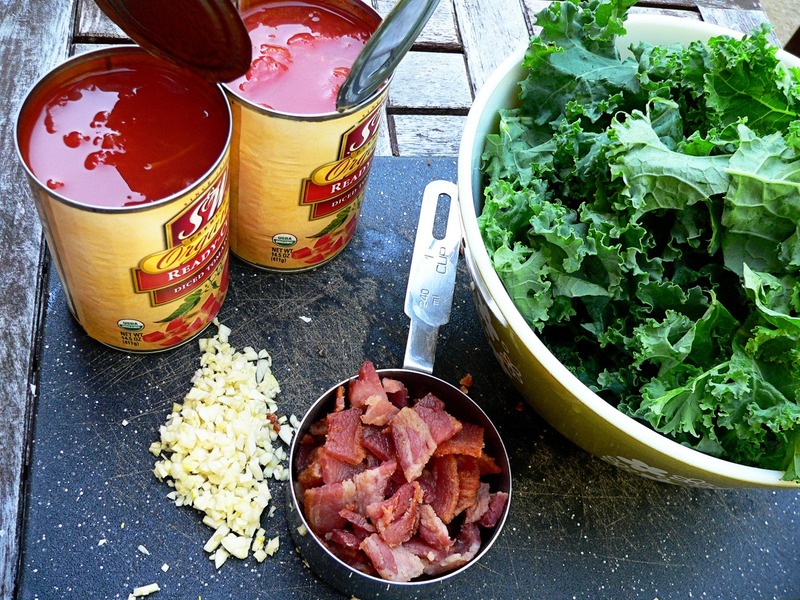 Add the whole head of torn apart kale. 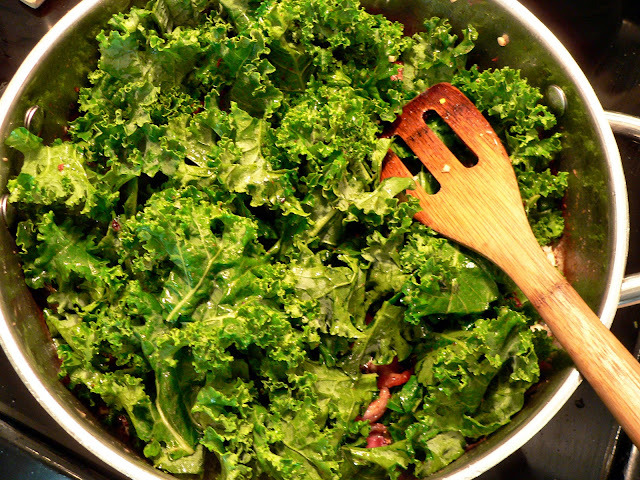 Continue to saute over medium-high heat about 4 minutes, or until kale is wilted. Add 30 oz can of diced tomatoes. Heat through. Lube the past up with a small pour of olive oil so it's just a little bit slippery. 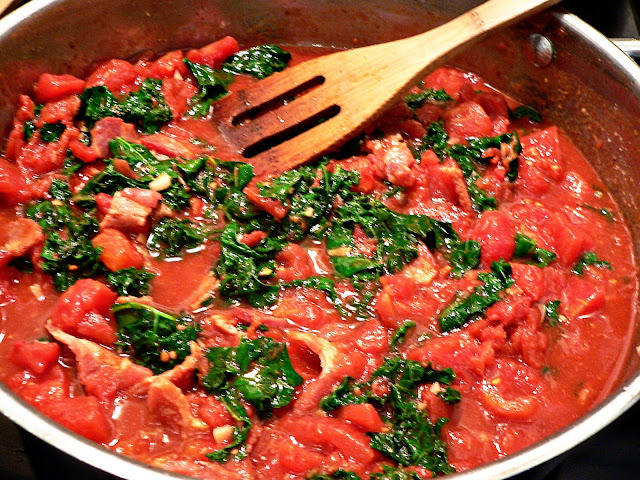 Take half of the tomato, bacon and kale sauce and mix it into the spaghetti. Add the remaining half of the sauce and lay it on top. 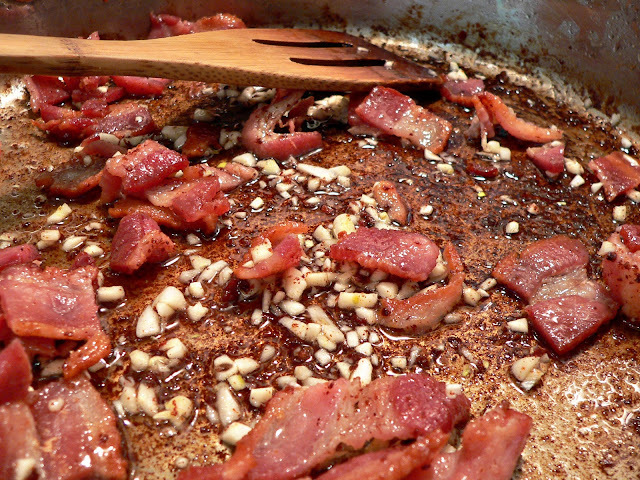 Add the remaining bacon pieces as a garnish on top. Enjoy! Ye-ah, Jason Aldean! Gotta love this country music. I'm with you sister! 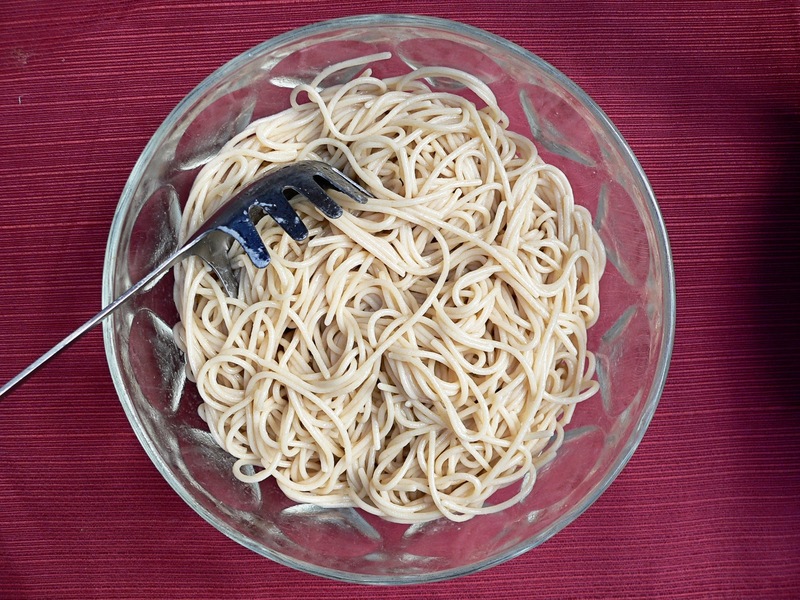 Bacon in pasta is divine. Don't stress too much about how it looks, it will likely get gobbled up so fast no one will even have time to admire it aesthetically. That looks delicious! 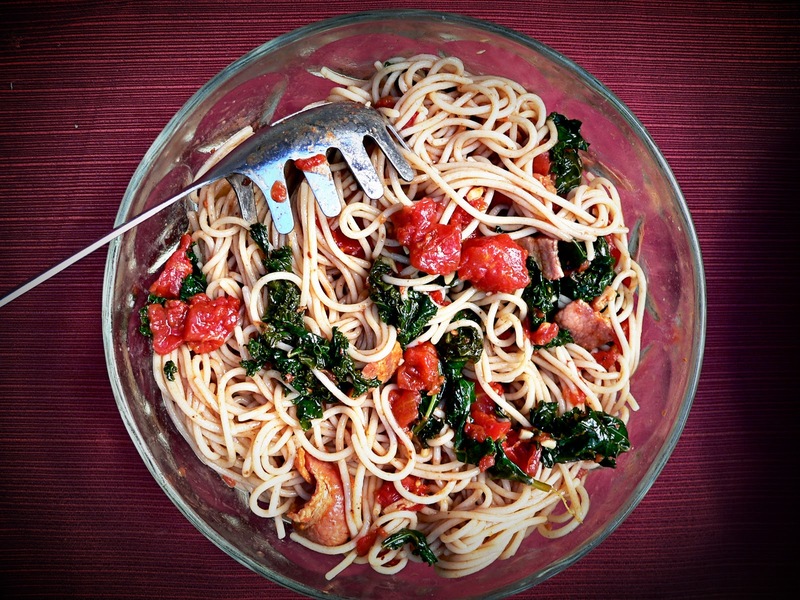 I've never thought of using bacon in pasta and I've become a kale junkie. I'm going to try it, thanks for sharing.